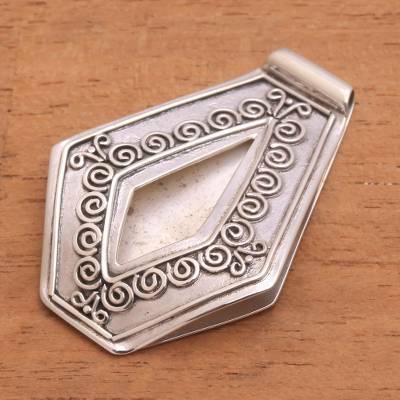 Artisan Crafted Sterling Silver Swirl Money Clip from Bali, "Swirling Path"
Balinese artisan Made Sugi creates a stylish option for keeping your cash organized with this handcrafted money clip. The sterling silver clip features intricate swirls that surround an open diamond shape. Slip your spending money inside for safekeeping. You can find sterling silver money clip 'Swirling Path' by Made Sugi in accessories categories such as Silver Other Accessories and Sterling Silver Other Accessories. Enjoy exploring these sections for other Novica treasures.